Situated on the eastern edge of the Texas Hill Country, with convenient access to commuting routes throughout Austin, the Rancho Sienna™ community is a natural place to live within the indigenous environment of the land. Mature tree stands, rock outcroppings, and hillside views have been intentionally preserved for generations to enjoy. An extensive open space and trail system connects the community. At Rancho Sienna you can balance a relaxed, uncomplicated homelife focused on nature, with daily active recreation and meaningful social engagement in a genuine community. 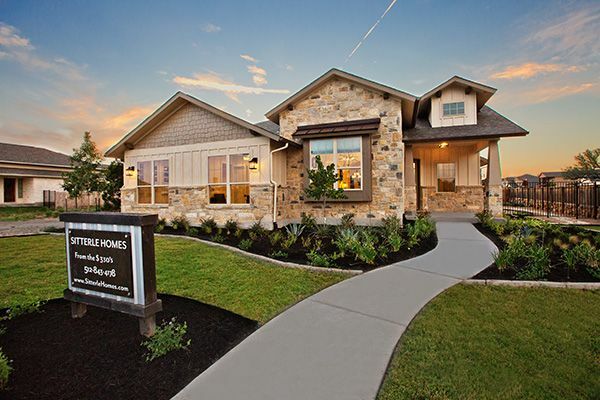 Striking the perfect balance between a secluded Hill Country setting and life's modern conveniences, the Rancho Sienna™ community provides miles of wandering trails through open space, parks, rock outcroppings, and rolling hills. Our garden homes allow for a lock and leave lifestyle and full front and rear lawn maintenance is included! Don't miss your opportunity to call one of garden homes- home!